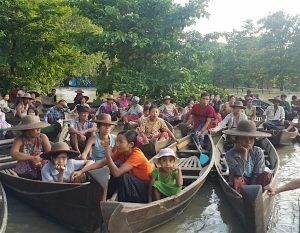 The disastrous floods in Northern Myanmar have now reached the Delta. 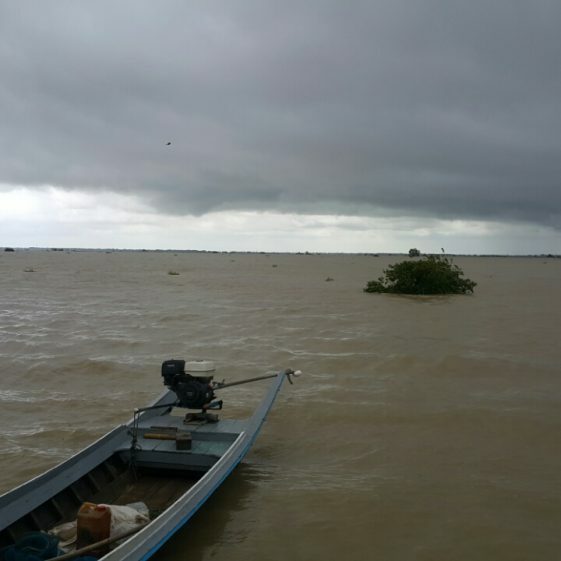 The villages in the Thar Paung district where we work have flooded almost all the houses. 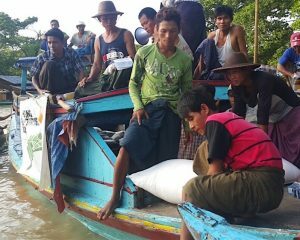 As in 2015, the villagers have lost most of their food, so we have mounted two relief missions to donate rice, oil, salt, condiments, and water purifying tablets. The first one covered 729 families with about 2500 people, the second one is going out now will serve 289 families with 1150 people. We are using our schools, which are built on extra high columns, to distribute the supplies. Villagers are also using them to sleep in.